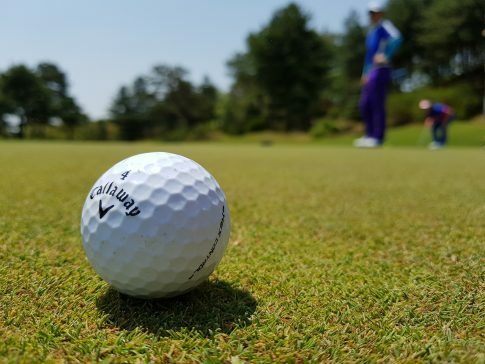 Two junior golfers from Brockenhurst College have been selected to represent England in junior team golf at the Home Nations Championships in Portugal this week. Sixteen-year-old Ciaran Simpkin from Totton and 17-year-old Declan Mason from Lyndhurst have flown south to compete in the tournament, which takes place at the Morgado Golf Resort. The young sportsmen will compete as a team along with six other golfers from Bramshaw Golf Club, to battle it out against seven other teams from England, Ireland, Scotland and Wales. This opportunity follows the team’s success in 2017 when they won the Hampshire Junior League, the Regional Final, the England Semi-Final, and the title of England National Champions. The Home Nations Championships involves two days of practice rounds before four days of competition, with Sky Sports covering the final two days. Ciaran commented: “I’m excited to play golf abroad because it’s a new experience, and as a team, we haven’t competed at this level before. “In preparation for the competition we’re having squad sessions every week to refine our skills and make sure we’re fully prepared,” he added.